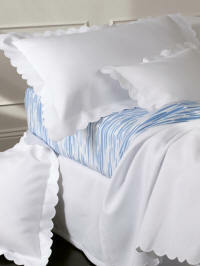 Scalloped embroidered edge on luxurious Italian easy care white percale. Embroidery available in a wide range of colors. Sheet Sets include 1 Fitted, 1 Flat and 1 Pair of Cases. See Size Guideline Below. Deep Pocket Fitted Sheets. 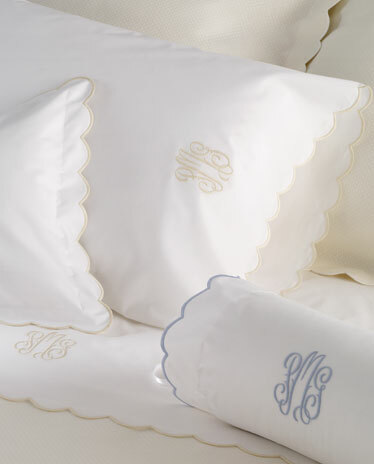 Monogram Items are embroidered with same color as scallop to match. Custom Product- Delivery approximately 2-3 weeks.